While it’s the last thing anyone hopes will happen, sometimes accidents happen in the workplace. If you suffer an injury, it can be difficult to know exactly how to deal with the situation at hand. As an employee, your employer is legally mandated to have a worker’s compensation policy taken out, so in the event of an accident, proper procedure must be followed. 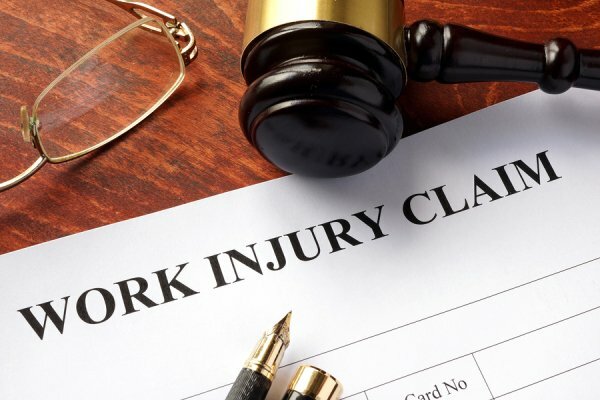 Understandably, your employer will likely want to make sure that you’re taken care of to avoid further issues, but navigating the legal field of worker’s compensation can be especially tricky. This is why it’s important to have an attorney who’s worked in the field by your side to make sure you receive all that you’re supposed to get. Not sure how the whole procedure works or why you should have an experienced attorney? Jack J. Schmerling, Attorney at Law will let you know all the details! • The Proper Evidence is Collected. Not only do you need an experienced attorney, it’s also important to make sure you get one early in the process. If you wait for weeks or months to pursue the claim, evidence vital to your case could easily be lost. Paperwork related to your claim can vanish, and it will become increasingly difficult to fight for your rights and proper compensation. • Your Medical Treatment Won’t be Controlled. There’s a good chance that your employer will try to control your treatment and have you visit a practitioner on their timeline. This could result in you having to pay to receive treatment, or simply not receiving proper care at all. An experienced attorney will help you to realize what medical care you’re entitled to all without affecting or compromising your claim. • Your Claim Won’t be Prematurely Closed. It’s important to realize that upon signing settlement claims, it becomes extremely difficult to reopen your worker’s compensation claims. An attorney is well-versed in the field, and will let you know whether or not what you’re being offered is fair, or if there’s more that you deserve and are entitled to. Since the Bureau of Worker’s Compensation and your employer prefer to pay as little as possible when it comes to settling your claim, having someone with experience will ensure you receive your full amount of compensation. • Unique Situations Can be Resolved. Sometimes you may find yourself in a situation that’s not so simple. For example, if you receive Social Security Disability Insurance benefits, they could be reduced once you receive worker’s compensation benefits. An attorney will work with you through the entire process to minimize the amount that will be reduced. Other situations could be if you have a worker’s compensation hearing or if your ability to work has been affected in the long run. To make sure that your rights are fully upheld, don’t hesitate to get in touch with Jack J. Schmerling, Attorney at Law. We’ll make sure you’re fully compensated and assist you through the entire claims process, so call for a free consultation in Glenn Burnie today at (410) 988-4956! There’s a good chance that your worker’s compensation policy is the policy you think the least about, but that doesn’t mean it’s not important. 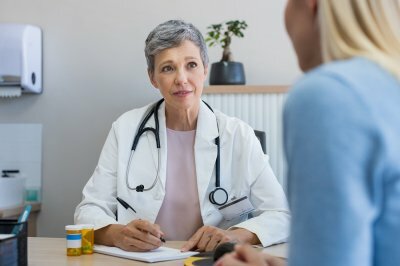 Because your employer has the legal responsibility to make sure that you, as their employee, are safe in their workplace, worker’s compensation works in your favor to make sure you are compensated and receive the appropriate medical care, rehabilitation, and any lost wages because of the injury. While nobody wants this to happen, accidents can happen, which is why you need to be up to speed on the basics of worker’s compensation and how it functions. Not sure where to begin? Jack J. Schmerling is here to bring you in on the know so you can be better prepared if the situation ever arises. First and foremost, it’s the law: many states require that you have worker’s compensation. 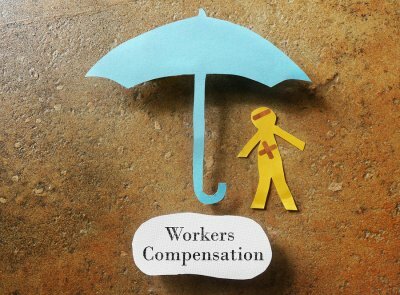 This also applies even if you have just one employee; to comply with the law, worker’s compensation must be carried. However, carrying worker’s compensation shouldn’t be seen as a burden: it’s what provides your coverage if you’re eligible. 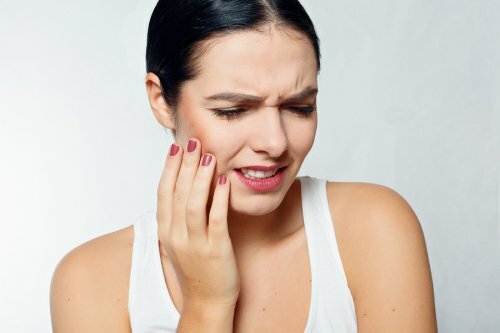 In the case of an injury, you will be referred to an approved healthcare, who will fill out all necessary paperwork in order to file the claim. Once you receive compensation, you can have prescriptions filled at an approved pharmacy. It’s important that the medical report is sent to all relevant parties, such as the employer, insurer, etc. The case will be investigated and documented, and if you are eligible for benefits, you’ll receive payments. When it comes to premiums, the National Council on Compensation Insurance, as well as the state’s Compensation Insurance Rating Board determine what your premiums will be. Your payroll and other costs will be taken into consideration, as well as other factors such as your company’s claims history. Throughout the entire procedure, it is vital that you, as an employee, have a full understanding of your benefits and what your employer’s responsibilities are, so that you receive the maximum benefits and compensation you deserve. For example, if you suffer an injury, your claim is filed with the insurance company, which will cover your medical/disability benefits. Barring a few limited categories, if your employer doesn’t have worker’s compensation insurance, they’re subject to fines, criminal prosecution, and civil liability. Fully understanding the duties required and benefits you can receive is vital in protecting you to the full extent of the law. I Was Injured During My Commute. Can I Get Workers’ Comp? Workers’ comp law in Baltimore allows injured employees access to financial benefits if they are hurt while on the job, accrue medical expenses, and lose wages. It does have some limitations, however. Employees are only covered under workers’ comp if their injury or illness was directly related to the workplace or duties of the job. This means that most employees who are injured during their daily commute to work aren’t eligible for workers’ compensation. There are exceptions to this, however, so it’s in your best interests to consult an attorney. Maryland’s “going and coming” rule limits workers’ comp eligibility. It states that workers cannot qualify for benefits if they were injured while going to or coming from work. This rule presumes that you are responsible for ensuring your own safety while traveling. However, there are a few exceptions. One notable example of the premises exception is a Maryland woman who won her claim for benefits after she was injured in her employer’s parking lot, while walking to the employee entrance. The court determined that, because the employee was on employer property, she was covered, even though she hadn’t started work yet. The off-site area contains a special hazard (such as icy sidewalks). The route from the off-site location to the employer’s property is closely associated with the employer. The second requirement can be tricky to meet. It’s fulfilled when an employer directs employees to use that off-site location, or when the employer knows employees use it, and acquiesce to it. For example, Gerald is a fictitious worker who leaves his job and walks toward the employer-provided parking lot. To get there, he takes a shortcut along the railroad tracks, where he is struck by a train. The employer is aware that workers take this shortcut. Gerald would be covered, since there is clearly a hazard, and the shortcut is strongly associated with the employer’s property. Some employers contract with transportation companies to provide free or fee-based transportation to their workers. If you were injured on a shuttle bus provided by your employer, you could be eligible for benefits. What Is the Positional-Risk Test for Workers’ Comp? States establish their own workers’ comp laws . Workers in Baltimore, Maryland can file a workers’ compensation claim if they meet the criteria of the positional-risk test. This test determines whether an injury was directly caused by the job. In short, it’s a “but for” test, meaning that an injury qualifies if the worker would not have received the injury, but for the obligations and conditions of employment. This means that a person could receive workers’ comp benefits even if the injury was sustained during incidental activities, such as a lunch break. In the past, Maryland courts have used the positional-risk test to define generous boundaries for workers’ compensation coverage. One notable case involved the death of a worker who had borrowed his employer’s welding equipment to make some non-work-related auto repairs. The court determined that the family was entitled to benefits because, had it not been for the worker’s employment, he wouldn’t have had access to the malfunctioning equipment that caused his death by electrocution. Can I File a Wrongful Death Claim After Someone Runs Over My Dog? Pets are regarded as property in the eyes of the law. For years, pet parents have been distressed to find that their options for legal recourse do not sufficiently reflect the significant, long-lasting emotional trauma of losing a pet to someone else’s negligence. Some states have slowly begun to change this approach, including Maryland. If you live in Baltimore, you can talk to an accident attorney to find out if you could file a lawsuit against the person who caused the car accident that killed your dog. The sudden loss of a beloved member of the family can interfere with your clarity of thought. As difficult as it is to discuss the event, you do need to see a lawyer promptly. He or she will review your case and evaluate the value of the claim. Depending on the circumstances, you may wish to settle the case out of court. Your attorney can contact the negligent driver or the insurance carrier to explain the monetary value of your loss, and offer to settle the case instead of filing a lawsuit. 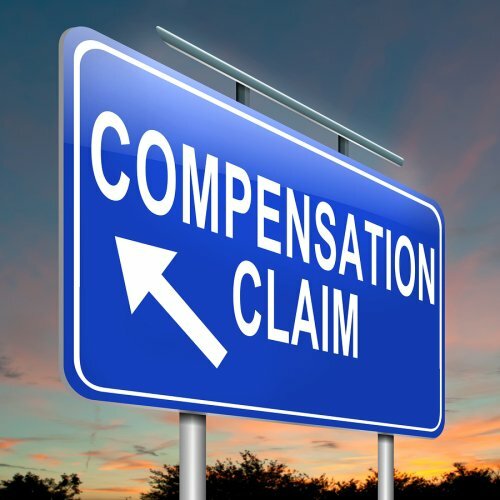 If compensation isn’t forthcoming, you can take legal action. You can only sue for wrongful death if a human was killed. However, you can still file a civil lawsuit against the person who killed your pet. Your lawyer will present evidence to prove that the defendant’s negligence directly caused the car accident that killed your dog. Once the defendant is served with the paperwork, it’s quite possible that he or she will be more willing to settle the case out of court. A key component of any lawsuit is the assessment of damages. In many jurisdictions, dog owners are limited in the amount of compensation they can recover. A court will typically award the amount the dog would cost, plus related veterinary bills. The following factors may play a role in determining the dog’s value. If the dog was a champion show dog, a service dog, or specially trained law enforcement dog, the value would increase. Recently, Maryland courts have ruled in favor of allowing bereaved puppy parents to secure compensation for their emotional distress. Claims of mental anguish can be substantiated by records that show you sought mental health counseling in the wake of the death. Employees in Baltimore can rely on workers’ comp law to protect them in the event of a job-related injury or illness. However, there are a few gray areas, such as injuries that result from horseplay in the workplace. Because of the risk that your claim would be denied, you should contact a workers’ comp lawyer as soon as possible after becoming injured in a horseplay-related incident. Watch this video to hear more about applicable workers’ comp issues. You’ll learn that multiple factors may be considered before denying or approving the claim, such as the nature of the injuries, the role of the injured worker in the incident, and the history and culture of the workplace. If your workers’ comp claim is denied based on willful misconduct, your attorney may file an appeal. Another alternative is filing a personal injury lawsuit against the other employees. Employees have rights, but sometimes their inaction can cause those rights to be forfeited. One example is workers’ comp claims. In Baltimore, workers’ comp law allows for the rejection of claims if they are filed past a certain deadline. You can protect your rights by acting quickly. As soon as a work-related injury occurs, you should notify your supervisor that you must leave work to seek medical attention . You have the right to visit a doctor of your choosing. It isn’t necessary to restrict your medical care to employer-approved doctors. At the hospital, inform every healthcare provider who evaluates and treats you that your injury is work-related. Ask that your medical records reflect this fact. Save all documents pertaining to your medical care, including co-pay receipts and discharge instructions. You should file a formal workers’ comp insurance claim soon after receiving medical care. Then, call a lawyer who can effectively advocate on your behalf. Your attorney can help you receive all the benefits you’re entitled to, and appeal your claim if necessary. Violence can happen at any workplace, but healthcare workers have a greater risk than most. They are the most assaulted workers in the country—in fact, 60% of assaults in the workplace happen to healthcare workers. If you are the victim of an assault at work, consult a workers’ compensation attorney in Baltimore to find out what your rights are. In addition to providing you with workers’ compensation, you may be entitled to other damages if your employer failed to take necessary steps to create a safe environment. Why is violence so pervasive in healthcare? There are many risk factors that contribute to violence in the healthcare setting. One is the emotionally charged environment in healthcare, particularly when patients and their loved ones are experiencing life or death emergencies. Patients may also come in with mental health issues and may be using drugs that can impact their thinking and their behavior. Increased demand on the healthcare system can further exacerbate the stress of the workplace and make the environment even more volatile. Who is most at risk for violence? Women are most at risk for being the victims of workplace violence. Approximately 80% of healthcare workers who take time off from work for injuries and illnesses that occur because of violence at work are women. Across all industries, women account for only 39% of workplace violence injuries. Women also make up the majority of the healthcare workforce, which partially accounts for why they are so frequently the targets of violence. What should you do if you are the victim of workplace violence? After an incident of workplace violence, report the assault immediately. In addition to working with your employer to address the violence, consider talking to a workers’ compensation attorney or personal injury lawyer. You may need long-term medical care for both physical and psychological trauma that may be covered by workers’ compensation insurance, and you may be eligible to receive other damages if your employer’s negligence contributed to the violent incident. If a serious car accident injury leads to an amputation, then you may experience phantom pain. Your car accident lawyer in Baltimore will consider your phantom pain alongside the other circumstances of your accident when seeking damages on your behalf. Here is a closer look at what you need to know about phantom pain. After an amputation, phantom pain is pain that feels like it is coming from the limb that has been amputated. It is not something that occurs in your head but rather the result of stimuli from your spinal cord and brain. The symptoms can be severe and difficult to manage, and for some people, they can last indefinitely. Your accident attorney will factor the severity of your phantom pain and your doctor’s prognosis to decide what your future medical costs may be, as well what kind of pain and suffering damages to pursue from the negligent party. Does Workers’ Comp Cover Mental Health Injuries? Mental health injuries that occur at work can be as devastating as physical ones, but are you eligible to receive workers’ compensation for them? In Baltimore, workers’ comp law generally does allow this kind of coverage, but you may need an attorney to help you make your claim. Watch this video to learn more about workers’ compensation and mental health injuries. If you experience post-traumatic stress disorder or depression because of something that happens on the job, you will need to consult your state’s workers’ comp laws to find out what your rights are. In Maryland, if the mental health injury was sustained at work, you are generally entitled to workers’ comp. These cases are sometimes difficult to prove, so it is helpful to have an attorney fighting for your rights.